The April 6 Youth Movement has published a biography of new coordinator Amr Ali, the first to hold the position since co-founder Ahmed Maher. According to the biography, published on the revolutionary movement's social media accounts, the 30-year-old Amr Ibrahim Ali graduated with a business and administration degree and currently works as procurement manager with the Egyptian International Schools Group. The Monofiya activist joined the youth movement in June 2008 after the 'April Strike' Facebook page launch. Ali was responsible for the Egyptian group's public works from September 2009 to August 2011, and was a member of the movement's political office from September 2011 until October 2013. 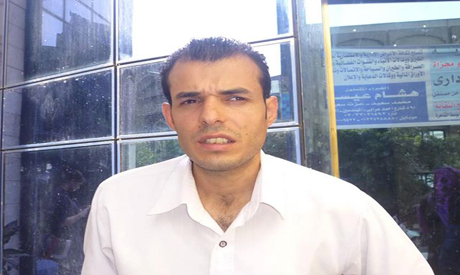 The new April 6 Youth Movement coordinator has been detained three times, including by military police in the early days of the 2011 revolution during a raid on the Hisham Mubarak Human Rights Centre. The April 6 Youth biography calls Ali a central force behind the group's policy of non-violence. Amr Ali was elected with 65 percent of the votes in the first election held by the movement since its founding in 2008.